Psychologist and award-winning author of Optimistic Aging, Margit Cox Henderson, delivers an engaging keynote address. LEXINGTON, Ky. (Nov. 9, 2018) — Preparing for the next phase in life requires time and resources. 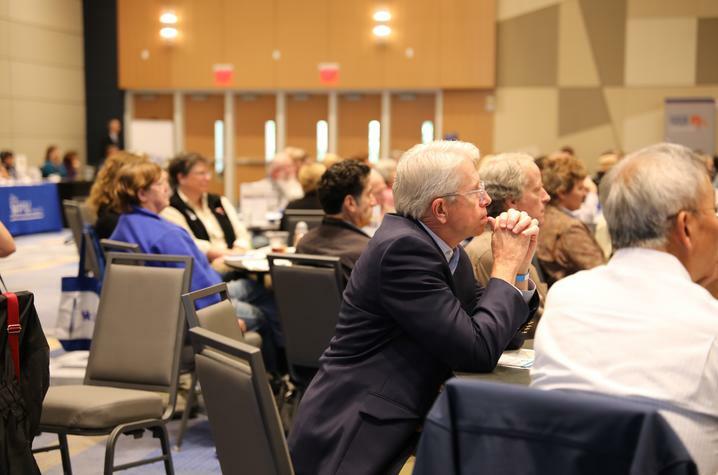 Each year, several hundred employees considering retirement attend a full-day event dedicated to planning. Offered by University of Kentucky Human Resources, the free annual Retirement Planning Conference covers everything from finances and insurance to health and well-being. Todd Macaulay, a certified financial planner and accredited investment fiduciary, offers these appointments. Watch his presentation, “Retirement Income Planning,” to understand the pros and cons related to annuities and other financial decisions. HR also provides personalized retirement planning sessions to employees. “Our goal is to help employees understand their options for retiring and all the great benefits available to them,” said Terri Kanatzar, a retirement officer who also coordinates the event. For more information about the annual Retirement Planning Conference, visit the HR website to view the full agenda and list of speakers.